The WLGA is a cross party organisation and its decision-making arrangements are politically balanced, reflecting the combined political composition of the authorities within its membership. The WLGA is a member-led organization through its main decision-making bodies are the Council – comprising 79 members proportionately representing the populations they serve – and the Executive Board – comprising the 22 council leaders. Through these mechanisms, there is a direct link between the WLGA’s governance arrangements and every individual voter in Wales. Electors vote for their councillors in the local government elections; the elected councillors in turn form governing administrations and elect a leader, and those leaders and councillors are elected on to the WLGA’s Council and Executive Board. Elected members are at the heart of policy and decision making within the WLGA. The work of the WLGA is advanced by its members and their decision making structures – the Executive Board and Council. The WLGA also has a Management Sub-Committee and an Audit Committee. Although Labour forms the largest group within the WLGA and holds the post of Leader and Deputy Leaders, the WLGA operates on the basis of consensus across the political groups including Independents, Conservative and Plaid Cymru. Leaders and other WLGA Council Members act as Spokespersons for the WLGA covering a range of local government services or portfolios. These portfolio areas cover every aspect of local government service ranging from finance, education and social services to libraries and leisure. 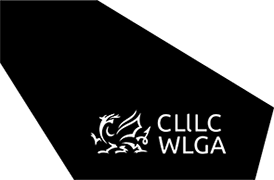 The WLGA is recognised under the statutory Local Government Partnership Scheme derived from the Government of Wales Act 2006 as the negotiating body representing local government. Thus WLGA Spokespersons represent the whole of local government in discussions and negotiations with the Welsh Government, the UK Government and all other national partners in their particular service areas. In addition, a small team of officers provide professional expertise and support to assist in the lobbying, improvement and policy development process. The WLGA promotes the important role of local government to Assembly Members and seeks to enhance and protect councils’ reputation and secure positive change to legislation. Much of the WLGA’s work is focussed on the National Assembly for Wales, the Welsh Government and other national stakeholders and partners. The WLGA also liaises with the Wales Office and works closely with the LGA in London in seeking to influence non-devolved policies and legislation and, in particular, responding to developments around Brexit. The WLGA’s work involves engagement with Ministers, National Assembly Members, and other national and governmental organisations. The WLGA’s lobbying work is therefore extensive. Communications, press work, and social media. The WLGA is committed to championing Equalities and Diversity, promoting the Welsh Language and is a committed stakeholder in securing the Wellbeing of Future Generations Act.